Frustrated At Low Inventory In Mid Range Priced Homes? My buyers are having a hard time finding property in the middle of the road price range. You ask them to make their highest and best offer when writing a contract but even that does not work. The situation ends up with multiple offers and you loose the deal. You have taken the time to show your client the homes they can afford, but wonder what does it take to make a sale and happy home buying customer? I am seeing many high end homes in my main working area of Evanston IL, they are million plus. You are driving around with your clients and seeing yard signs all over but the properties are way more than they can afford. The inventory of 3 to 5 bedroom homes in our middle of the road range of price is unavailable. A few years ago I would simply set up a search and have my buyer pick out their choices and after looking to their satisfaction a deal would be written and accepted if reasonable. I am having trouble achieving that these days for the people who want areas where there are schools they want their children to attend. 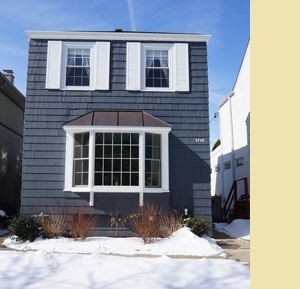 In the Evanston area I am talking about $400,000 to $700,000 for a nice, move in ready home. Is this happening to you? What are we to expect in the future? The talk of higher Mortgage rates makes this seem even more scary as the Spring 2015 season starts. I would like to hear if anyone else has similar troubles and are you ending up with buyer satisfaction. Noah Seidenberg can be reached at Chicagoland & North Shore Real Estate. Noah do you think this is a result of polarization in our society? Why either low-cost houses or very expensive villas? And no mid-range inventory. Noah, mid-range homes are the homes that are most in demand in many states and of course with lowest inventory. Yes Noah, the homes in mid-range in any given area are the ones with low inventory. Maybe with Spring on its way, the market will open up again and sellers will be listing their homes. Our market price point has not moved substantially and we still have a 7-8 month inventory. In fact sellers are having a hard time making their homes stand out from the competition. I have seen your market reports and the Chicago market is booming. Send a little of that down our way, please.